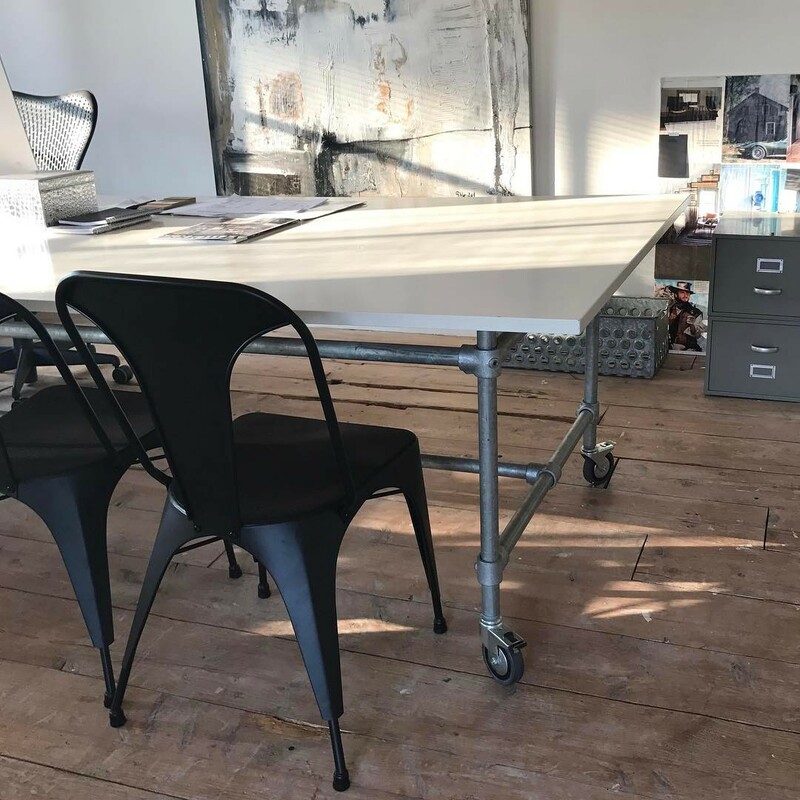 Sturdy home office desks, workstations and studio tables can be quite hard to source, especially when you have specific dimensions you need to work with. 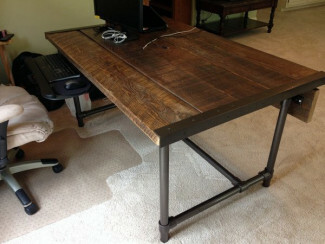 A lot of the times people just find it easier to build their own studio desks for their home. 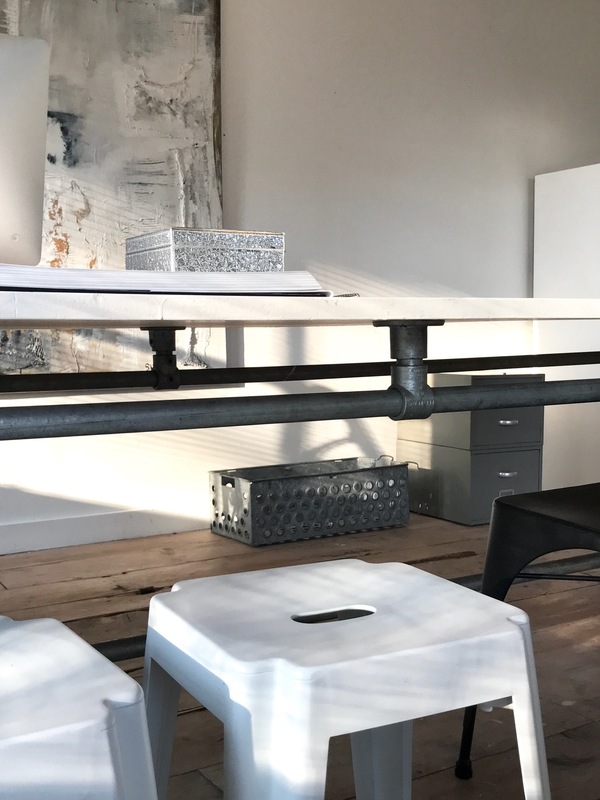 Interior designer Wendy Koning is one of the people who decided that it was easier to build their own contemporary furniture items, so she designed and put together this long table using key clamps. 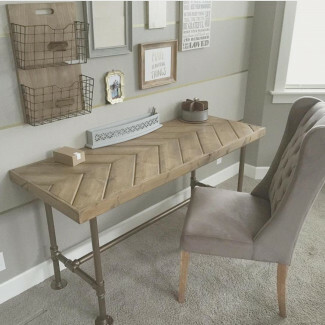 Wendy used a modified version of our Rugged Table Frame Kit to construct this DIY desk. 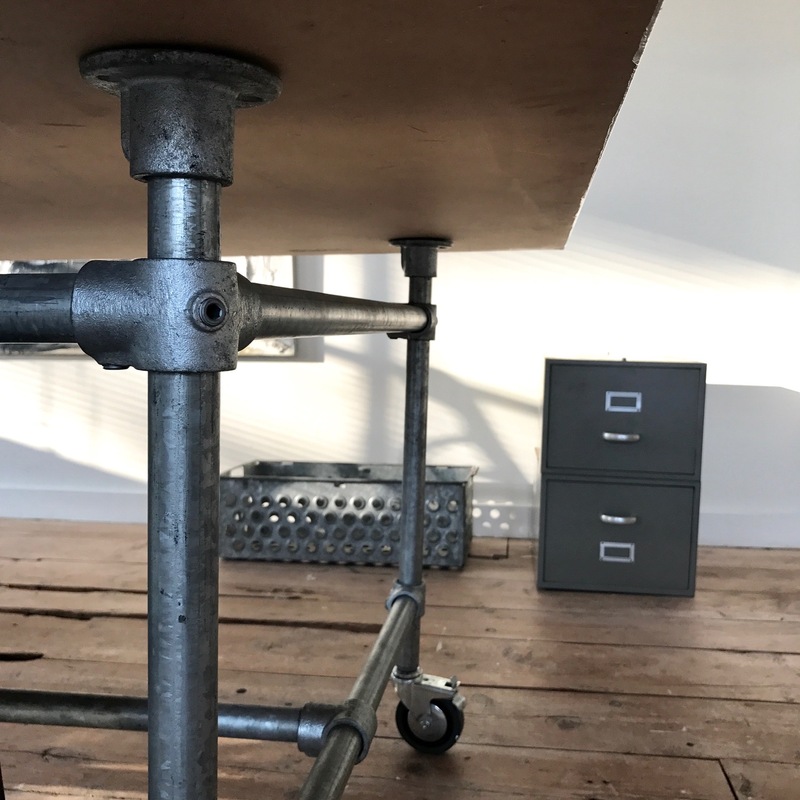 She used 90° Side Outlet Tees (21 Type Fittings) for the upper corners of the table and then flanges to support the table top. 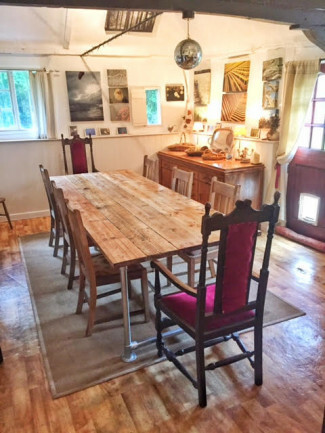 The table measures 3m x 1.2m. Wendy decided not to paint the floorboards in this room and she went for an industrial, distressed look throughout. 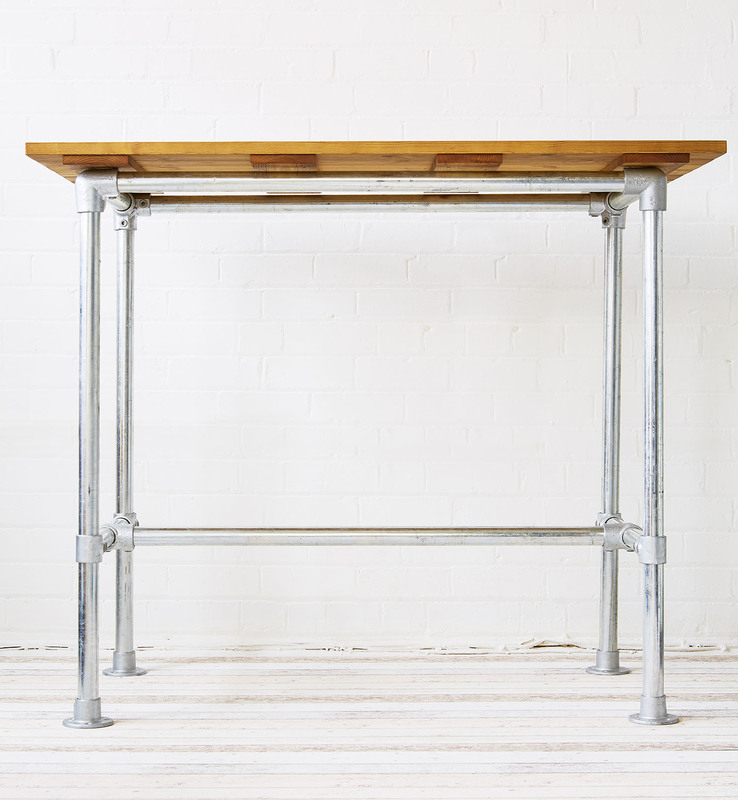 Galvanised steel seemed like the perfect material to go with this décor. Please note that this solution does not include the table top. You will need to source the table top yourself. 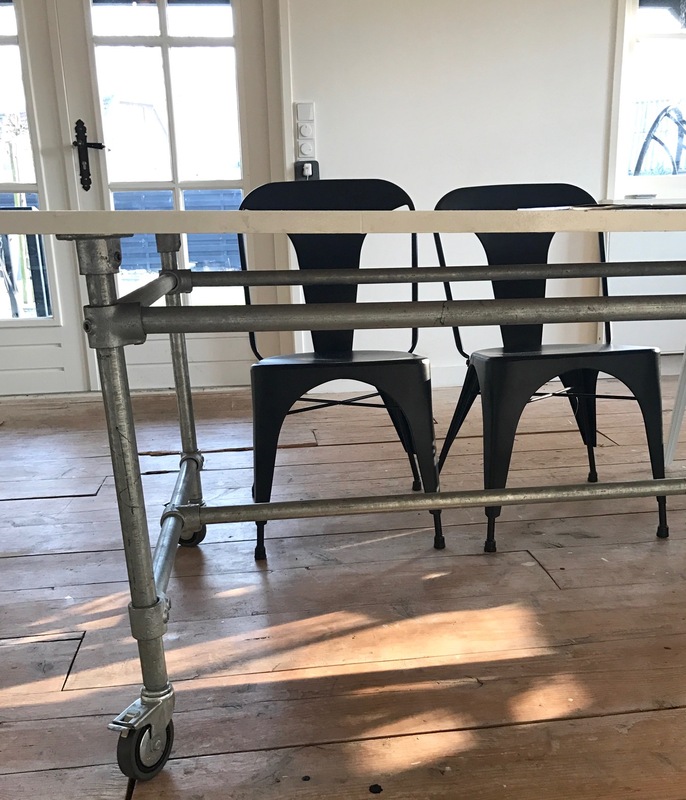 An inexpensive solution is to use scaffolding boards. 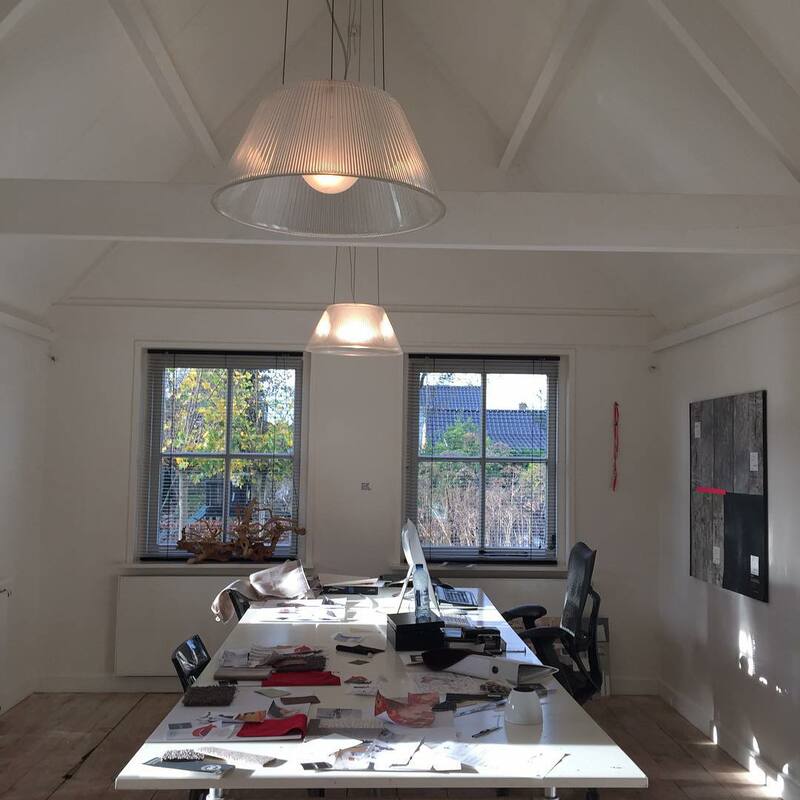 Kee Klamp fittings can help you achieve the industrial look you are going for. 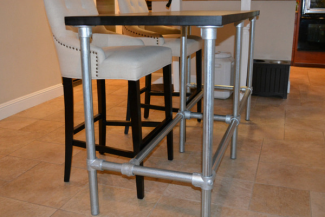 If you choose one of these ready available table kits, all you need to add is a table top. 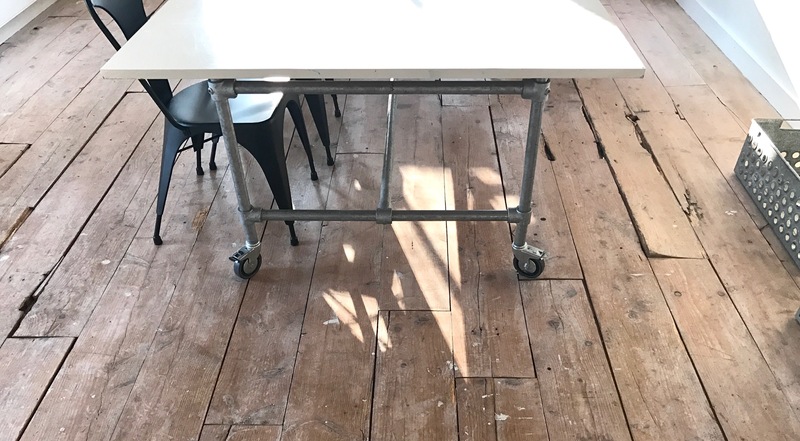 Our desk and table frame kits can hold very heavy table tops: for example, the Rugged frame kit can easily hold a concrete table top. 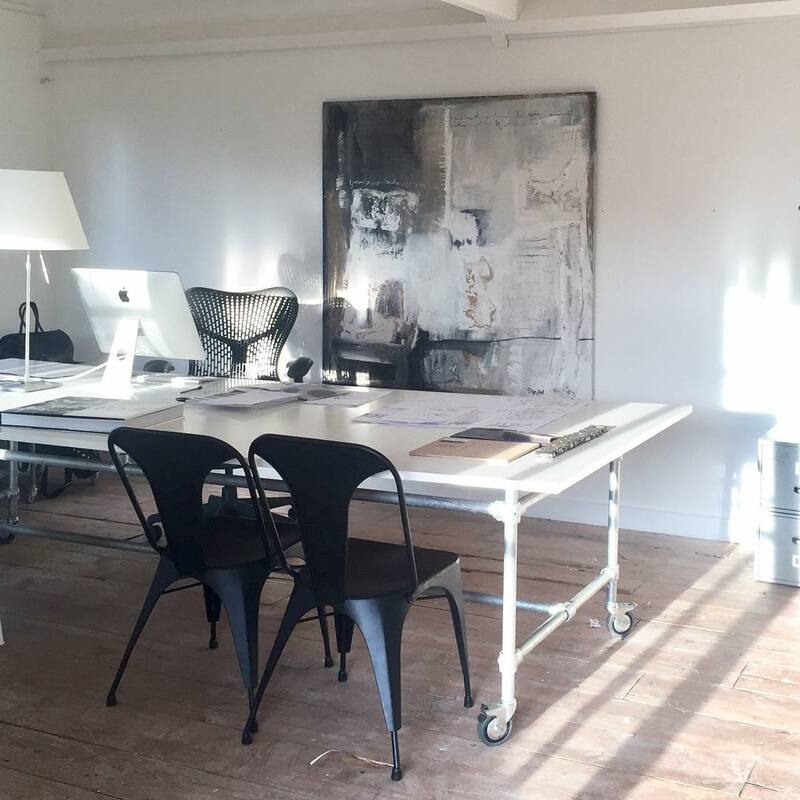 Just look at these desks that our US colleagues have constructed using various table tops.